Domestic Moose: A lovely year of finishes - April goal. I'm struggling with my April goal for the Lovely Year of Finishes. I've been finishing up so many UFOs, but this month I find myself with a much smaller and more recent stack of flimsies. So now I need to consider whether I consider finishing up those or put the priority on my ever growing stack of WIPs that I'm piecing. I've been preparing for an upcoming quilt retreat and what I have prepared doesn't match what I thought my goal would be so now I really need to consider direction and unpacking my little IKEA box. Do I set a super simple goal like adding the sashing to my pinwheel sampler? 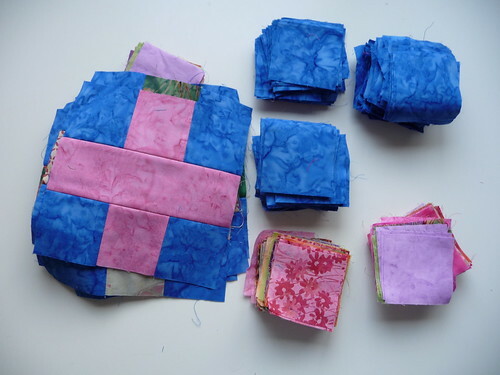 Or something more complex like starting and finishing the hourglass quilt on top there? 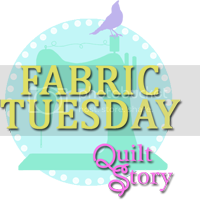 Or quilt another flimsy and get those off the list? Direction. I don't have any. To avoid repacking my box of crap, I think I've made a decision. I'm going to finish up my batik plus signs with the blue background. This one here. Nice, simple and all ready in a bag in the box. And so very springy. There is my April goal. Can't wait to see what everyone else gets finished this month. It is nice you have them all packed so nicely in a nice box! Congratulations! 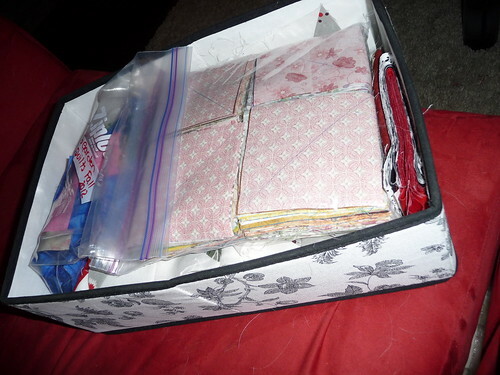 I have mine packed in their own plastic organizer boxes, so I guess it contributes to the WIPs. But, I have been looking at them, and trying to get my WIPs done before starting anything new! Honest! But hard for me to get it done within 1 month.